Would you like a 2019 Calendar? 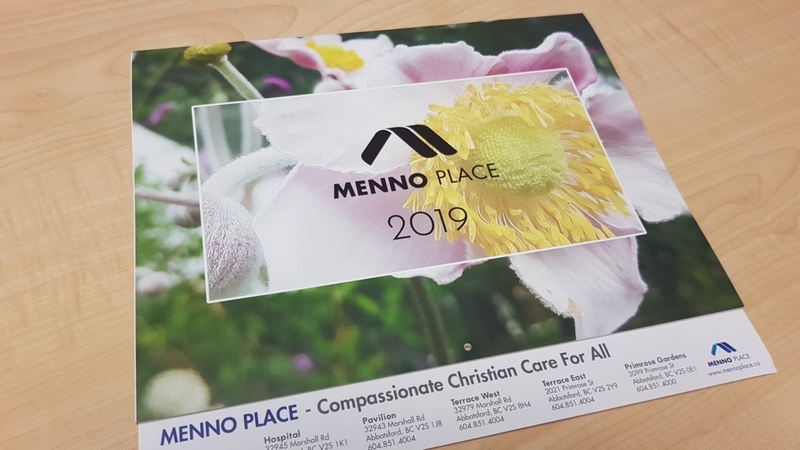 Each year, Menno Place publishes a beautiful calendar full of encouragement and photos taken on the Menno Place campus. Our residents all receive one and enjoy them year after year. Would you like one for your own home? or to give away to a friend? You can get one from Menno Hospital Reception while supplies last. Enjoy!